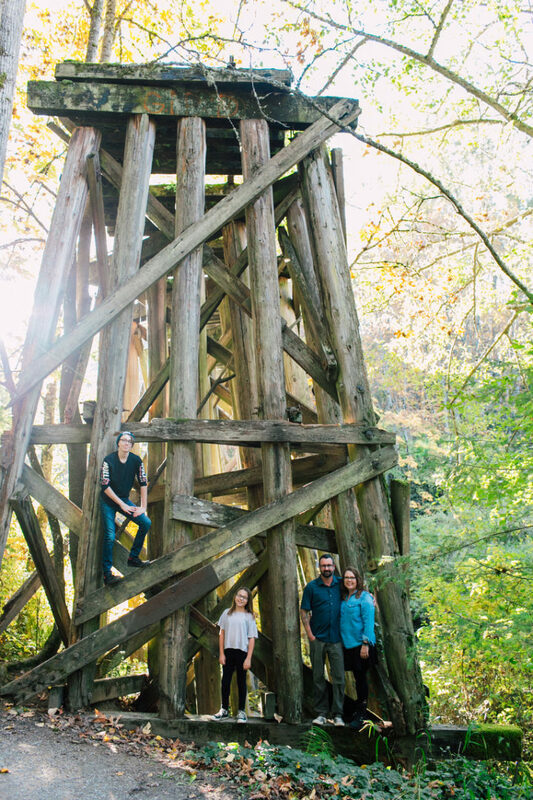 When I contacted Shelly Clark about photographing her family for the latest “Glasses of Binyon” blog she responded- “Could we meet at Whatcom Falls Park? 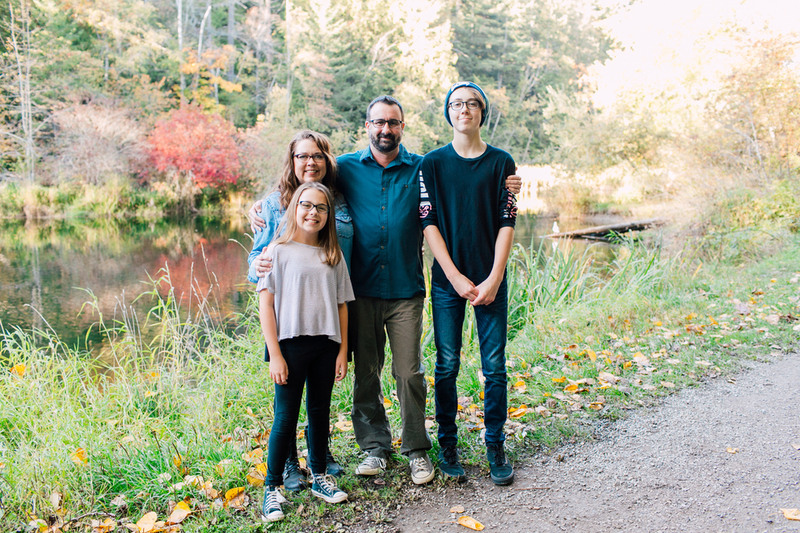 We kind of live right in the park.” I thought that might mean on the road leading into the park but as Kevin works for the Department of Fishery for Washington State- they literally live in the park. It was a joy to watch the family in their backyard and picture the kids growing up in one of Bellingham’s most beautiful parks. Kevin, Shelly, Chester and June have been patients of Dr. McEathron’s for many years and they each have unique and interesting stories about their journey with their glasses. Shelly tells me he’s worn glasses for as long as she can remember. 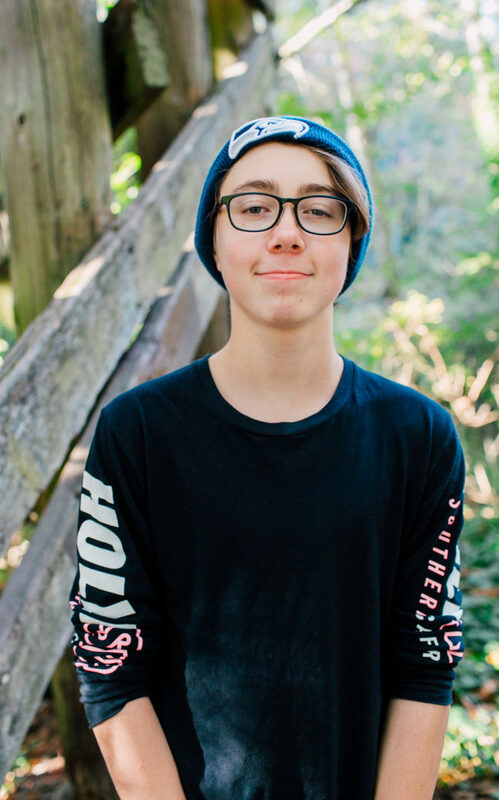 His first eye exam was when he was four years old- with concerns of family history of nearsightedness. Shelly remembers this appointment vividly- that Dr. McEathron kindly recommended they try again the following year when Chester knew more letters. He received his first pair of glasses the next year and Shelly comments that he’s always taken very good care of his glasses- probably because he’s “blind as a bat” without them. His high astigmatism doesn’t make him a great candidate for contact lenses- but he wears glasses well and appreciates the help from the opticians to find him a great fitting pair that is stylish. Shelly was also proactive with an early eye exam for daughter, June. When she was 5 she sat in Mom’s lap for her first eye exam. The next few years she came in for regular checks- but Dr. McEathron found no need for glasses. As 3rd grade rolled around, some reading struggles were noted. We made some reading glasses, but Dr. McEathron also recommended a consultation for vision therapy. June now sees Dr. Bearden at Optometric Physicians Northwest to help with excessive convergence. 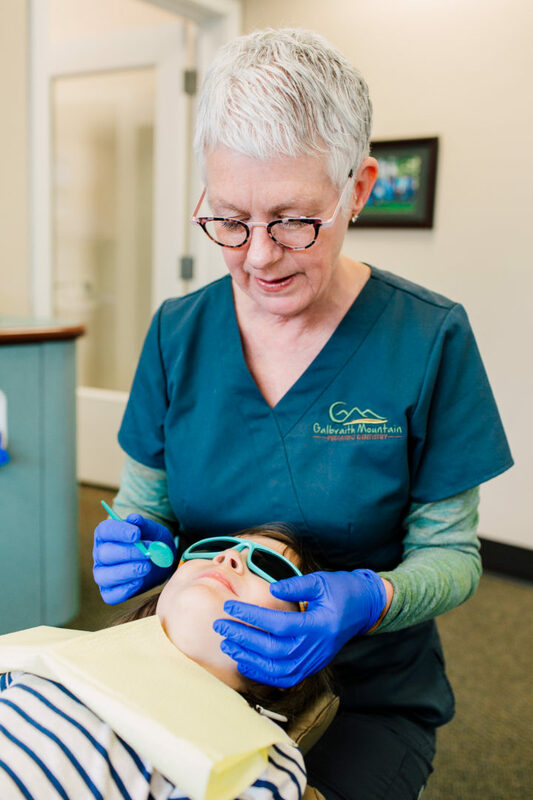 She wears her reading glasses for close work but with the improvement she’s seeing in vision therapy, she might not need them for much longer. at what he had been missing out on because he couldn’t see! 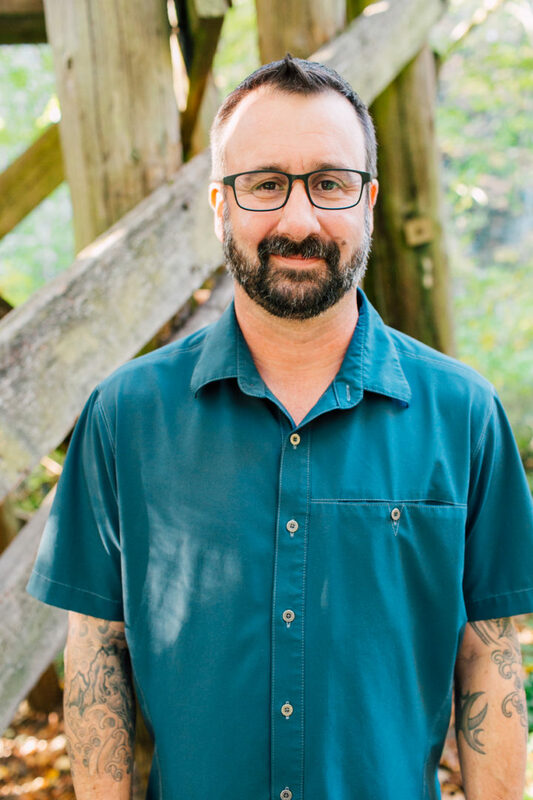 He spends a lot of time outdoors- so he tried Transitions darkening lenses but didn’t like the amount of time it took for them to change back to clear- so he invested in his first prescription sunglasses made by Maui Jim. He describes those as the ultimate treat- and necessary for his work around bodies of water to be able to see clearly through the glare. I saved my favorite story for last! 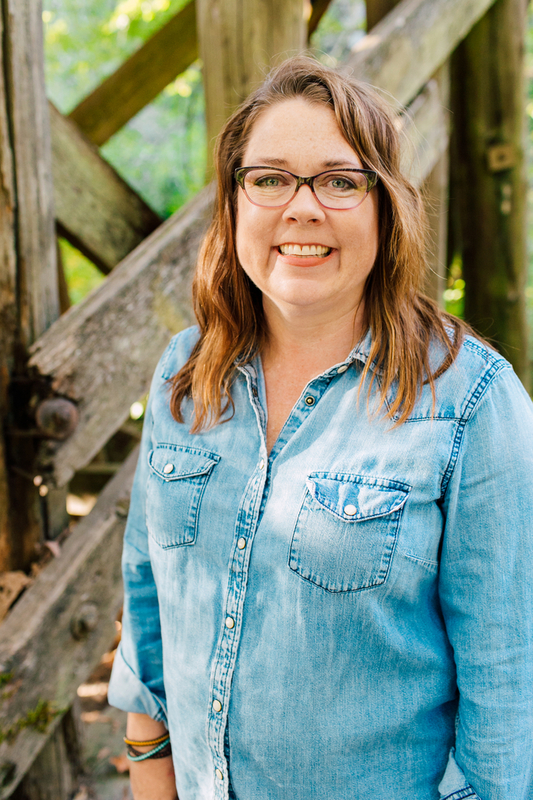 Shelly was very nearsighted and had Lasik performed in 2010 and was glasses free for 4 years after wearing them since she was a little girl. She remembers the news that she would need glasses again as being disappointing – “It’s because I’m getting older right?” she asked Dr. McEathron. “Well, it’s because you keep having birthdays,” explained Dr. M. Shelly loves how he took her negative and turned it into a positive. She says she’s fine wearing them now and even likes them! When she lost her glasses she got the same frame in another color. This was smart because she found the lost glasses again and now has two very cute similar but different color frames! 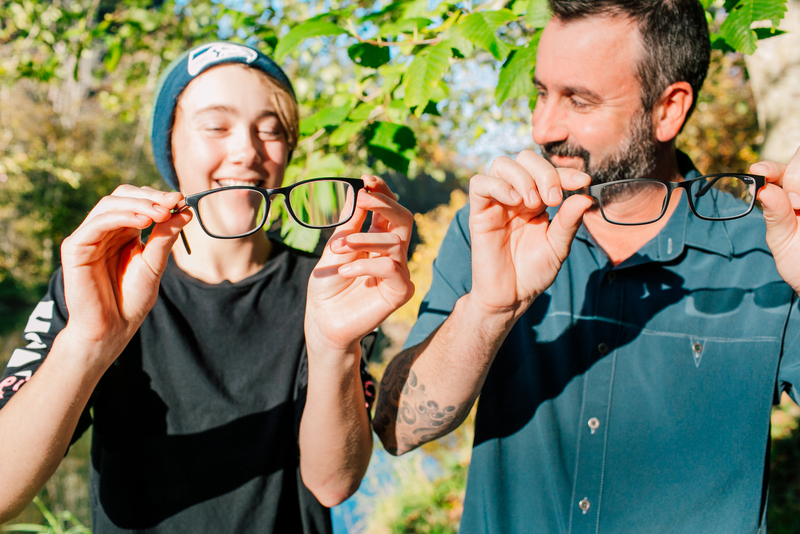 It was a fun adventure to get to know this family better in their beautiful back yard and hear about their unique glasses experiences. 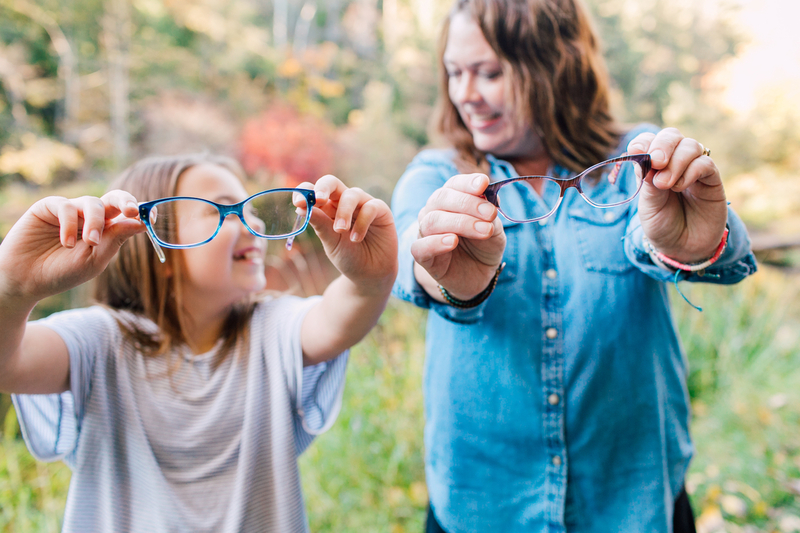 A special thank you to Shelly, Kevin, Chester and June for sharing their glasses stories and to Katheryn Moran of Katheryn Moran Photography for taking this awesome family’s pictures! When the kids and I walked into Galbraith Mountain Pediatric Dentistry office for the first time, I was understandably nervous. The three year old wore her tiara and lugged along her stuffed elephant (named Sugar- great choice for going to the dentist) and the one year old is always unpredictable, because he’s one. As new patients we were brought into a big room with an exam chair, and several bins of toys – mostly stuffed animals all outfitted with huge sets of teeth and giant toothbrushes. 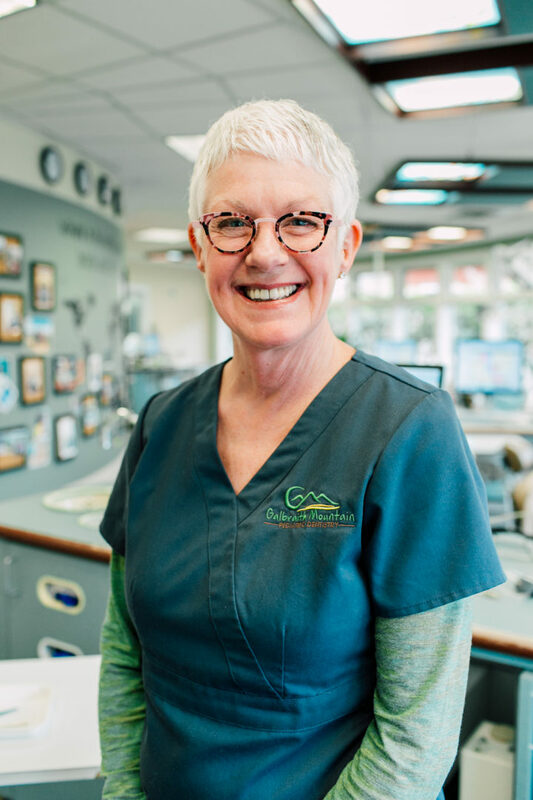 A woman with cute glasses and a kind face entered the room and introduced herself as Susan, the dental assistant who would help us out on our first visit. Susan made sure the kids knew they could play with the toys in the room and explained this first visit is all about making sure they feel comfortable. “Too funny!” she replied, “That must make you Caitlin, I’ve known you since you were a kid!” Before Susan worked at Galbraith, she worked for Dr. Richard Todd’s office where I’d been a patient growing up. My memory went back to a tall, energetic woman with short brown hair that would call us back to the exam rooms and we laughed at the connection in our small Bellingham world. Her hair is a beautiful silver now and her energy and smile are just as I remember. Then it was her turn to come to the doctor! 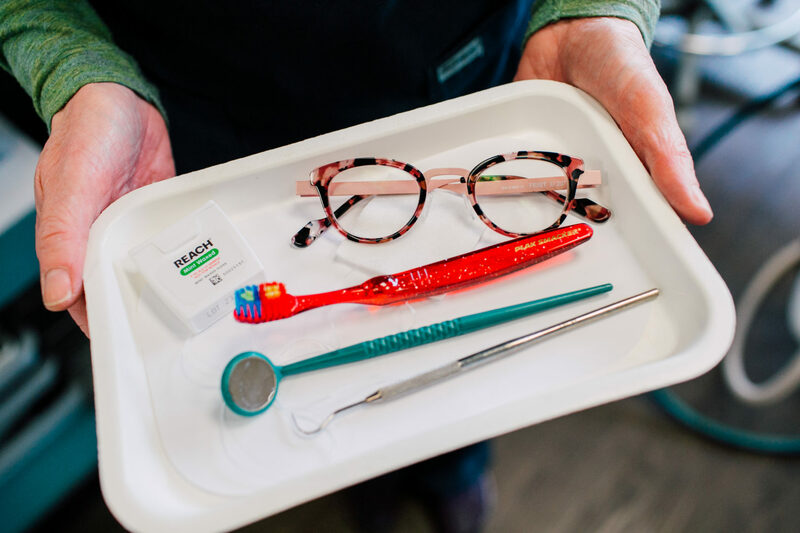 A few months after our re-acquaintance at the dentist, Susan came in for her eye exam and was planning on updating the lenses into her current Lafont frames to her new prescription. 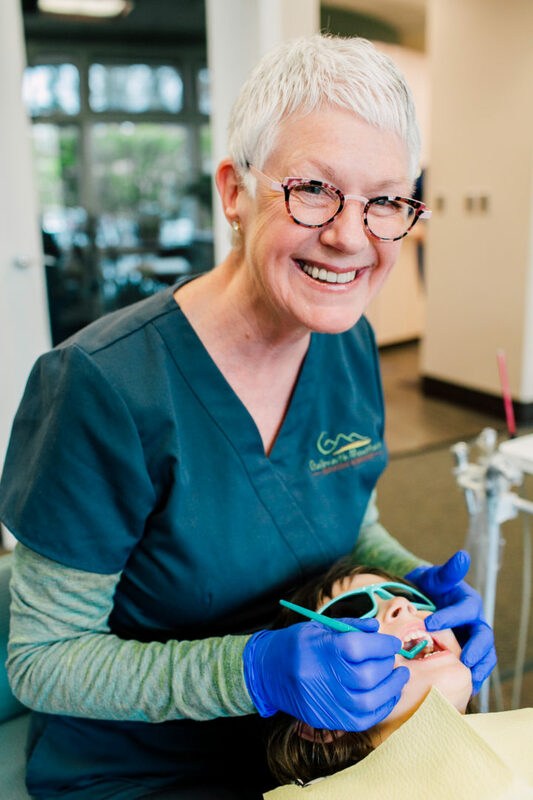 Susan and her fun glasses collection help to brighten kids’ day at Galbraith Mountain Pediatric Dentistry. Thank you Susan, for taking part in our Glasses of Binyon feature and thank you to Katheryn Moran of Katheryn Moran Photography for the wonderful portraits. We recently started working with a patient communications company that has expanded our ability to communicate with our patients electronically. We wanted to bring you up to speed on the new ways that you are able to make contact with us and schedule appointments, through our online patient communication system. Do you go over your to-do list in your head at the end of the day? 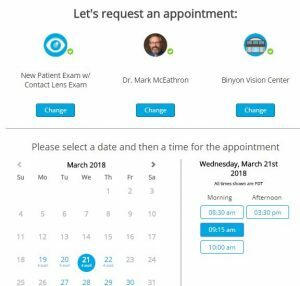 Now it’s easier than ever to cross off that “Schedule Eye Exam” task… On the top of our webpage, there is a “Request Appointment” link that will take you to a separate window to schedule an appointment with one of our doctors. First select the appointment type – the only choice here is if you’d like a contact lens exam in addition to a regular eye exam, or just a regular eye exam for a non-contact lens wearer. Are you looking to schedule another type of appointment? In this case, please call 360-647-2020 so we can properly assess the immediacy of your visit. You can also text this number (see below)! Then you’ll select the doctor (or provider) you would like to see. This is the best part – it will show a calendar of that doctor’s available times for the next six months. Select a date and time that would work in your schedule. Fill in your information and submit your request. We will review your request as soon as possible. If the appointment time is still available, we will confirm your appointment and you will receive an email saying YES we will see you at this time. If that appointment time does not work for whatever reason we will let you know that we will need to find another time by email (this rarely happens). Give it a try! It’s so easy! If you’ve provided us with an email address and/or phone number that can receive text messages you will receive reminders of upcoming appointments through these channels. Let us know that you can make it by following the confirmation instructions provided. If you cannot- an email or text response is a great way to let us know. 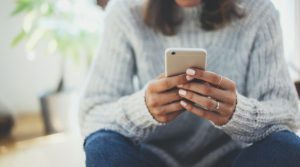 If you don’t like this style of communication and would like us to send you postcards for your yearly eye exam and give you a call to remind you of an upcoming appointment it is easy to opt-out of these types of online patient communication, please follow the directions in the text or email to opt-out. We love and appreciate feedback. If we have your email address, after your visit you will receive a request for a short survey. Please feel free to add comments- it’s very helpful for us to know how we can better serve you! Being a small, independently owned office we appreciate that we can make local decisions that best fit our patient’s needs. Let us know what they are by responding to a survey. Texting is an easy, quick, any time of day way to send us a question or concern. 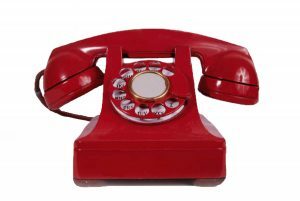 You can text our general phone number: 360-647-2020 and we will respond to you as quickly as possible. We also might reach out with glasses arrival information, insurance information and more using this media. Texting is not a secure messaging platform and could be viewed by third parties. Before sending any confidential HIPAA protected information we will ask for your consent. Let us know if you would like to opt-out of this online patient communication method. As technology has brought us more options to communicate we want to use these to reach our patients, and remain respectful of their wishes. If you have any feedback feel free to give us a call (360-647-2020), send us a text (360-647-2020) or an email (visit@binyonvision.com)! We’d love to hear from you any way! As a reminder – we also love to communicate with Facebook and Instagram! Follow us for the latest frame styles, doctor’s advice, schedule updates and more! Just two weeks ago, a patient walked in the office for her yearly eye exam. Nothing strange going on- just wanted to see if she needed to update her glasses. She didn’t expect to be going into emergency surgery for a retinal detachment later that afternoon. Despite a lack of symptoms, this patient was fortunate enough to be caught before the eye damage was irreversible. This was a good reminder for us to bring to light a few visual phenomenons that should alert you to contact us immediately. 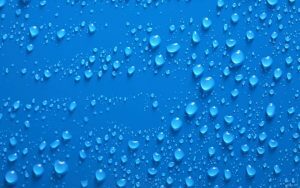 Floaters – a dark or grey or spot or speck that passes across your field of vision and moves as you move your eye. Flashes of light- appears as lightning bolts, flickering lights or random sparks in the field of vision. These three signs can be normal visual occurrences and some- especially floaters- increase gradually with the more birthdays we have. However- if one of these symptoms suddenly expresses itself, a patient must seen immediately. Because retinal detachment causes no pain – it’s important to know about these signs. When a retina detaches the tissue on the back of your eye becomes separated from the supporting tissue. When separated it cannot function and process the information that creates visual images in your brain. If a retina does not get reattached surgically, the vision loss can be permanent. Please get spots, floaters, and flashes checked out if they suddenly appear in great frequency.Also – remember to stay up to date with yearly visits to the optometrist! A new world appears with clear vision – are you seeing to your full potential? Come on in! We’d love to share a WOW moment with you, and add your patient talk to this list! The weather today could NOT make up it’s mind! When I dropped my kids off, it was pouring- my 3 year old cried, “We need a boat Mom!” as we ran into her preschool. When I picked them up four hours later- the sun was out, sky was blue, a perfect PNW afternoon. But… the road was still wet… so I was temporarily blinded by the concentrated sun rays hitting the puddles going right into my eyes until… I put my polarized sunglasses on. Sweet relief. 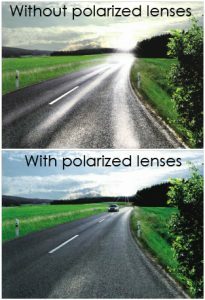 I’ve recently come across some really great explanations of how polarized lenses work to reduce glare – and I hope to shed some light (pun intended) on how these work- so you can hopefully gain a new appreciation of this great technology! The glare of the sun on flat wet surfaces- such as roads, the surface of the ocean, snow reflects from that horizontal plane- concentrating all that light into a blinding reflection. Polarized lenses have a polarized filter oriented vertically to block light coming in horizontally. Besides removing the intensified and scattered horizontal light, the vertically aligned light polarize lenses allow to pass is preferable to the visual system- creating a significantly more comfortable view. Non polarized sunglasses indiscriminately filter all light- horizontal and vertical. They reduce glare but don’t eliminate it. By filtering all components olight- a less sharp image is the result. The selective light filtering of a polarized lens actually creates a sharper picture! Not all polarized lenses on the market are created equal. The quality of the filter used and how the lenses are manufactured determines the glare reduction. Drug store “polarized” sunglasses may only cut out 10% of light, where premium polarized lenses such as Xperio lenses by Essilor cut out 99% of reflected light. Next time you’re driving on a gorgeous day when the storm has lifted and the sun is shining down on large puddles of morning rain and reflecting right into your eyes- consider an investment in a quality pair of polarized sunglasses. They will greatly improve your driving experience! The First Exam of the Year Should be an Eye Exam! 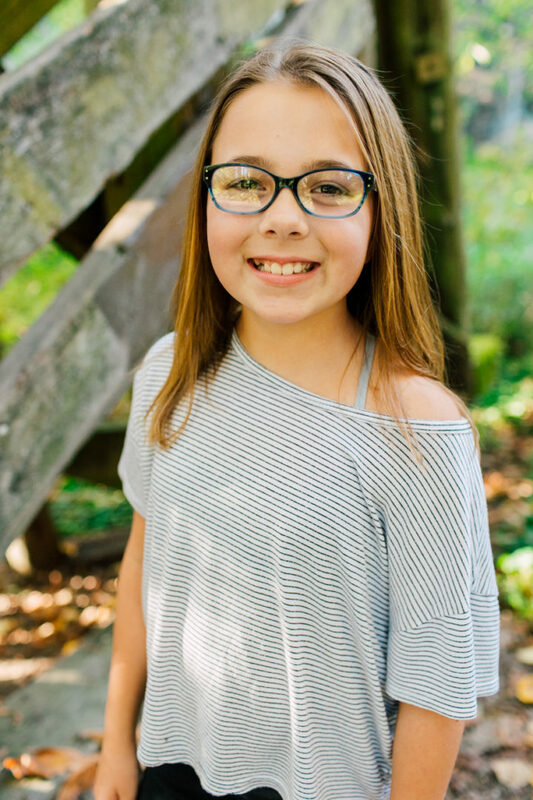 As you’re preparing for the upcoming school year, it’s important to make sure a comprehensive eye examination is on the family’s to-do list. Kid’s vision can change dramatically from one year to the next and 80% of learning is experienced through vision. Therefore, a thorough eye exam is a necessary step to making sure your child is ready for the school year! The Affordable Health Care Act designates Kid’s Vision as one of the ten essential health benefits. What does that mean to you? Qualified health plans must include benefits for an annual comprehensive eye exam and vision materials (glasses or contact lenses) for members 18 years old and younger. Please give us a call today with your insurance information and we can check on the details of your plan! We want to help you get ready for back to school! Yes… we do contacts. I hadn’t considered a patient might think differently because we all wear our glasses to work. So, I’m glad he asked! Contact lenses are a fantastic vision correction method and provide wearers with a host of benefits including sports, increased periphery vision and the ability to wear non-prescription sunglasses! I get to work with new contact lens wearers and teach them how to put on and take off their contacts, talk to them about how to take care of them, how often to replace their prescribed contacts and also pass on a list of precautions to take while wearing contacts. Contacts are a big responsibility and not one to be taken lightly. Therefore, contact lens health is very important! 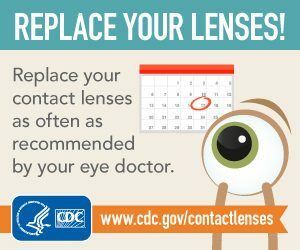 The Center for Disease Control and Prevention (CDC) agrees and has named this week- August 22-26, 2016 the third annual Contact Lens Health Week. 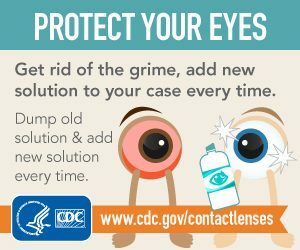 Only clean your contacts with doctor recommended contact lens disinfecting solution- never water or saliva. If you experience eye pain, discomfort, redness or blurry vision, remove your contacts and call us to schedule an appointment right away! These are just a few contact lens health habits that can help your contact lens experience be comfortable and healthy. 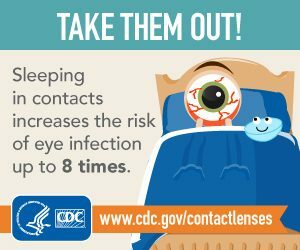 For more information, talk to Dr. McEathron at your next yearly eye exam and visit the CDC website Healthy Contact Lens Wear and Care. Have you considered what it would be like to lose your sight? A recent article in US News and World Report discusses a nationwide survey showing vision loss to be equal to or worse than losing hearing, memory, speech or a limb. How about you? Is age-related vision changes and loss a concern? Have you considered what it would be like to lose your sight? Are you taking steps today that could reduce risks of vision loss or blindness tomorrow? See clearly – check yearly! 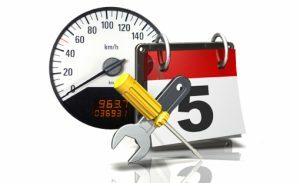 How often do you take your car to be serviced or head to the dentist? How often do you update the anti-virus software on your PC to protect your hard drive? A routine eye check-up can monitor your eye health – catch problems before they start and keep your eyes in top working condition. There is a lot more to a comprehensive eye exam than “which is better one or two”? A patient came to see us for his first routine eye exam at the age of 55. He had just started to wear over the counter readers but never had any vision problems. 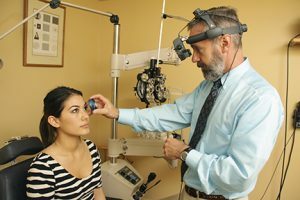 During the visual fields test, Dr. McEathron discovered a field loss in his vision. The glaucoma pressure test and assessment of the optic nerve confirmed a likely diagnosis of glaucoma. The patient immediately began treatment for moderately severe glaucoma. The 10 degrees of near vision field loss seen will never be recovered – the daily prescriptions drops the patient takes will slow progress of the disease, but as of now there is no cure. Another important note to mention- the patient had no family history of glaucoma. Eye exams are recommended every year. The affordable health care act has deemed pediatric vision one of ten essential health benefits. Many insurance plans include coverage for a routine eye exam yearly. For more information on what your insurance plan covers, call our office and we can provide you with details. In the beginning of the year- your birthday month – as soon as school’s out for summer or before the year is out – pick a time to schedule your yearly eye check up/regular preventative maintenance and stick to it! Your future self will thank you! Since today is Dr. McEathron’s birthday- it’s appropriate to communicate more of his tips to slow down age-related vision changes in your eyes. Eat healthy now – see long term benefits! Choosing to eat healthy can have a long term impact on your eye health and therefore your age-related vision changes. And, the good news is it certainly goes beyond carrots. Antioxidants and other specific vitamins nutrients can reduce your risk of cataracts, macular degeneration and glaucoma. Furthermore, omega-3 essential fatty acids also help alleviate dry eyes and guards against macular damage. For an extra boost – vitamins! BioTears – support for dry eyes, is also rich in omega 6 essential fatty acids. Eye and Body Complete – includes a broad spectrum of 43 ingredients that consequently eliminates the need for an additional general multi-vitamin supplement. 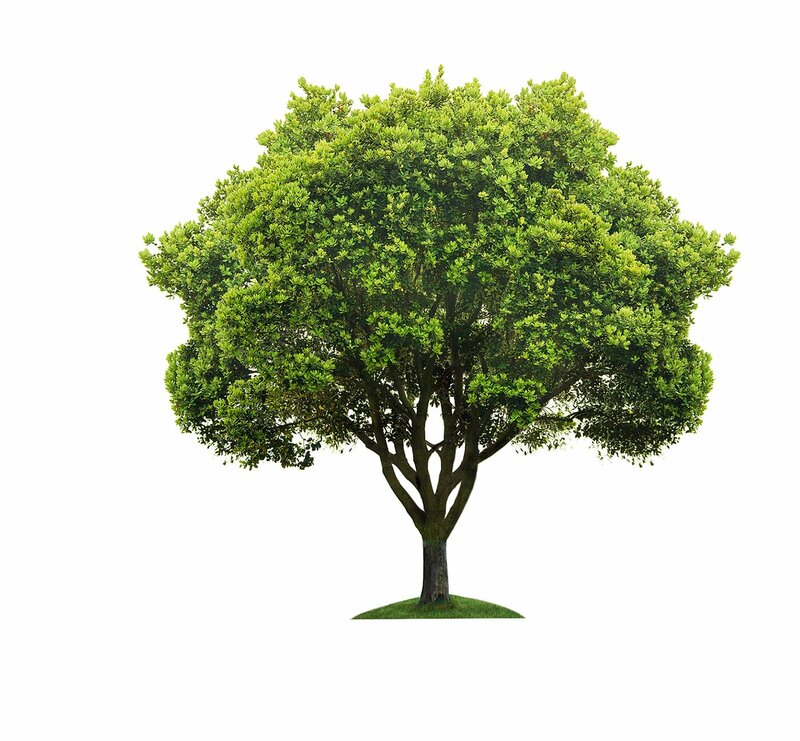 Oculair – rich in vitamins, minerals and antioxidants, specifically targeting eye health but also with whole body benefits. In conclusion, taking care of your eyes and entire body now through proper nutrition will give substantial benefits as each birthday passes as a result! Stay tuned for more tips on how to beat those age-related vision changes!